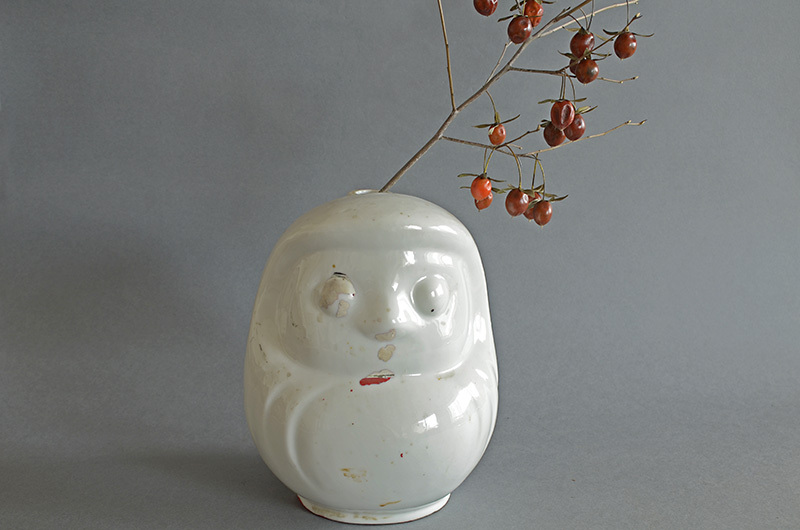 DARUMA SAKE BOTTLE (Dealer: Jinta) – Lovely ceramic figure of ‘Daruma’ (Bodhidharma). Originally sold to be contained sake. It would be also nice to use as a vase.